I’ve been doing a lot of work this year on building parent engagement in schools, including having a book published (Building Parent Engagement In Schools) and starting a new blog called Engaging Parents In School. Plus, I continuing to do the usual work at our school of actually engaging parents, too! 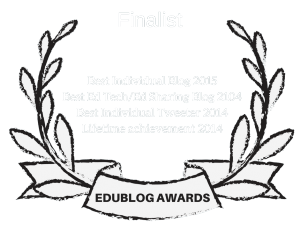 I thought readers of both of my blogs might find it useful for me to develop a “The Best…” list of resources on this topic. Parent Involvement or Parent Engagement? is a piece I wrote for Public School Insights, and gives a nice preview of our book. Family Literacy, English Language Learners, and Parent Engagement is an article I wrote for Library Media Connection. Press Conference On Parent Engagement shares a video of a press conference called by our district’s Superintendent that includes both Elisa Gonzalez, our school’s staffperson for parent engagement, and me speaking about our home computer project and our parent university. Parents, Students & College includes links to what we’re doing at our school to promote college discussion and planning with parents, and a new book highlighting research around that issue. What Americans Believe Is “The Number One Factor In Keeping Schools Moving On The Right Track” — Read it and find-out! What Might Aesop’s Fables Say About Glitzy Media Parent Involvement Campaigns? is the title of a critical post I recently wrote. both share major studies highlighting the affect that poverty has on students. The results emphasize the importance of schools engaging parents to combat these problems. Education World published a short article by me titled A Parent Engagement Model That Works. Info From Anne Henderson includes a link that this well-known research into the parent connection with schools gave to Congress. 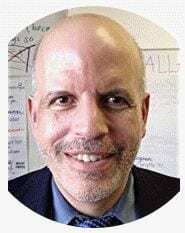 Engaging With Your Child’s School: Q&A with Larry Ferlazzo is an interview I did with “Smart Bean,” a parent portal on the Internet. Parents & Schools In Los Angeles is my “take” on what the District there might be doing with parents and charter schools. Conditional Cash Transfers, Parents, And Schools offers my critical perspective on a growing way on how schools and cities are trying to connect with parents. Home Computer Project Expansion & Assessment Results provides an update to our internationally-recognized Family Literacy Project. Teacher Magazine published an article I wroteabout teachers making home visits to parents. You have to register (for free) to read the entire article, but it’s a quick process. “Harlem Program Singled Out as Model” is a post I wrote about Harlem Children’s Zone, including some questions I have about it. If you found this post useful, you might want to look at previous “The Best…” lists — there are over 350 of them!